You will find the best PMP exam tips in this article. It contains a list of top tips, tricks, and strategies that will help you in passing the certification test in your first try. These tips will help you in all aspects of the PMP exam prep viz. understanding eligibility requirements, submitting application form, doing 35 contact hours training, deciding on study material, preparing for the exam, answering questions, and planning for the exam day. I have published a detailed guide containing 85 very useful PMP tips and tricks. I picked the best points from the guide to compile this article. By following these, you will get a distinct advantage for cracking the credential test in your first attempt. 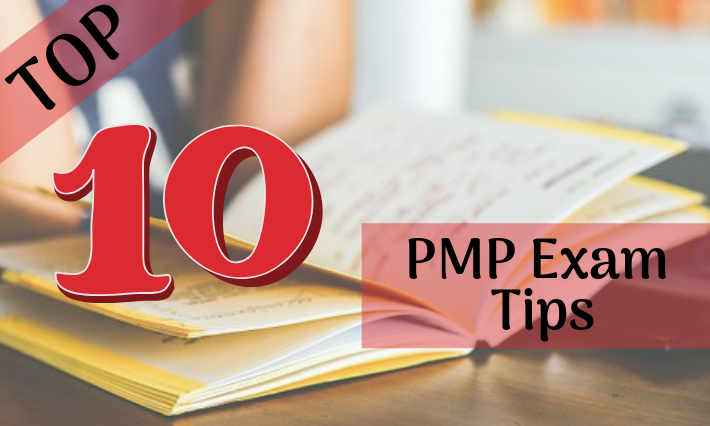 There are 8 different categorizes of tips and tricks in my PMP tips guide. You will find the 10 most effective tips from these categories below. ​A formal PM training from a PMI non-REP can be used to attain 35 contact hours for the PMP exam. You need formal Project Management education to apply for the exam. Many people believe that only training provided by a PMI REP (Registered Education Provider) is approved by the PMI. It is not true. You can also go for a training provided by a non-REP also. You can use their training certificate to apply for the exam. In fact, you can use training sessions conducted by any of the following providers to fulfill PMI’s requirement. ​Experience of working as a project team member does not count towards PM Experience requirement (4500/7500 hours). You need to have either 4500 or 7500 hours of Project Management experience in order to qualify for the exam. The requisite number of experience hours depend on your basic education. These hours should be accumulated by leading or directing a project. You cannot showcase experience that you have gained while working as a project team member. ​Become a PMI member to get a free digital copy of the PMBOK Guide. You can take PMI’s membership by paying a small fee. You should take it before opting for the exam. It has many benefits including free access the PMBOK Guide. You will be able to download digital copy of the PMBOK Guide for your own study and reference. ​You should prepare for some delay &amp; extra administrative work if your PMP application comes under audit. PMI does not verify your credential (education, experience etc.) when you submit the application. But your application might be audited any time before the exam or even after the certification award. Generally, PMI audits the application immediately after the application fee payment. PMI will inform you about the audit through an email. They will send you a set of instructions for completing the audit process. You will need to submit a few documents, as instructed by PMI, to complete the process. The whole process might take a few weeks. You should be prepared for this delay. ​You should have a complete understanding of the PM's Role (as defined in the PMBOK Guide) to answer the exam questions correctly. Many exam questions will check your understanding of the PM role. These questions will give you a situation and then ask “What should PM do…”. The PMBOK Guide has a separate chapter on PM role. You should read the chapter and understand the role thoroughly. You should answer the test questions based on PM role as defined in the PMBOK Guide and not on your own experience. ​Refer to the glossary available in the PMBOK Guide to understand all the project management terms and abbreviations. The PMBOK Guide’s glossary contains all the project management terms that are relevant to the PMP test. Some of these terms are not explained in the main portion of the Guide. You should understand each and every term before taking the test. The glossary will be useful for understanding and revising the terms. ​There is no prescribed passing percentage for the PMP exam. Many people believe that there is a hard percentage to pass the PMP exam. Many websites claim it is 62% or thereabouts. But it is not true. Most probably there is no passing percentage. Even if there is one, PMI has not disclose it. Many people suggest that you should target 80% or more in the mock tests to be successful. This is true to some extant but it will not guarantee success. You may practice as many mock tests as possible but you will still have self-doubts. The best way to overcome your doubt is to compete against and score better than the other aspirants. I have explained this strategy in my post on PMP passing score. ​Attempt all the questions in the PMP exam as there is no penalty for the wrong answers. To be honest, no one knows if there is negative marking in the PMP test or not. Some folks at PMI would know. But general opinion suggests that there is no penalty for putting in a wrong answer. You should answer all the questions even if you are not sure about the answer. ​Carefully look for the negative keywords like NOT, EXCEPT, EXCLUDING, NEVER. The answer can change because of these keywords. Many exam questions contain negative keywords either in the question statement or in the options. The meaning and context of the question or options completely changes because of these keywords. 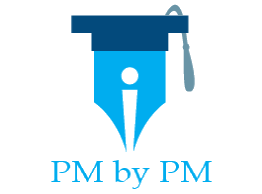 PMP is a timed test. On top of that, some of the questions are very long. Sometimes, in order to complete a question, we just skim some statements. And this may prove to be very costly. You should read the statements carefully before finalizing your answer. The answer may dramatically change because of such keywords. You should practice long tests at home before taking the exam. ​ITTO (Inputs, Tools &amp; Techniques, and Outputs) are overrated. There is no need to memorize them. PMP is one of toughest test. It has mainly four types of questions – Situational, Mathematical, Direct, and ITTO-based. Situational questions form the bulk of the exam. There are only a few ITTO questions. General opinion suggests that the exam has fewer than 10 ITTO questions. Even those questions com in garb of situational questions. It is very difficult to answer these without a logical understanding of ITTO. Memorization of ITTO would not make you pass the exam. You need to understand them logically. Tips and tricks are inherent part of preparation for any test. You should follow them to increase your chances of success in the PMP exam. If you like this article, then you should buy PMP tips guide. It should be useful for your exam prep. Which tip did you find to be most useful? Which one do you think is not useful at all? What other tricks or strategies are you following? Do you think tips like these will help you in passing the exam?